A piece of card in the TomTom pack advised me to plug the unit into an internet connected computer with the supplied USB cable. I did this and the TomTom website appeared at the Product registration page. I registered and TomTom Home software automatically loaded from the unit. A banner appeared saying ‘Open manual?’. I did and the manual appeared. I saved it to local drive. It s also on the TT website. When I plug the unit into my PC, I get an automated updates routine for firmware and maps. It also gives me oportunity to purchase Darth Vader, Homer Simpson or Yoda's voice for the spoken instructions. It also gives me oportunity to purchase 'Speed Camera' updates, which I decline. When I bought an Etrex 30, that came with a manual. Possibly the Edge has something similar. Maybe so, but what comes in the box is a piece of paper about 8 pages long that is more than useless. That manual you linked to is still not _very_ user friendly. Now I've got one and have used it heavily I know what it is saying but when you get one for the first time, and say, have never used a GPS before, it's Hence the many websites about where people explain what you *really* need to do to work it properly. For example, I just looked at that manual and read through how to set up a course. Have a look at page 10 on 'how to follow a course from the Web. If that's not woefully inadequate I don't know what is. That manual is hopeless - thinking about it (I haven't checked) that may be what they put in the box. If anyone can actually get the full use out of their garmin using that manual then they are a better man than me. I imagine what you get in the box is the Quick Start guide. Normal these days isn't it? when you buy 'stuff'. What I like about online manuals, is that you can read them before you decide to buy (or not). I'm not really sure where I'm trying to have it both ways, you've lost me there. I suppose printing that longer manual off you'd have a greater saving on loo roll than the quick started guide, offset by the toner useage and printer paper consumption. And is that normal? dunno to be honest, I don't buy much 'stuff' like that. Most things don't really require a manual to get going properly - the Edge 800 most certainly does. It's a bit poor to expect helpful users to provide the details on what to do for free in their spare time. But hey ho, if you don't mind that's up to you. Inicidentally, the garmin manual should probably, if it was honest (which it is never going to be of course) tell you to steer well clear of Garmin's own software because that is incredible poor too frankly - in my opinion anyway. As far as I have seen, Garmin operate an ‘In service testing’ philosophy. This is where the users find the bugs, report them to the manufacturer and hope the manufacturer sends out a patch. I read through the eTrex 30 manual on Garmin’s website and decided not to make another fool of myself. Don't get me wrong, the Edge 800 is a fabulous pieced of kit, it's just fathoming that out that's the problem. Life is full of little lessons, innit? Taking the various notes of caution posted here I gave it a try as a navigation device on Sunday, on the 100k Kennet Valley route, one I know very well. There were a number of occasions when there was no notification of what to do at a junction, so me knowing where I was going was rather handy. The point that bothers me now is, how do I fix that? On previous posts there have been mentions of "course points" or "waypoints" - is this what the file needs in order to tell the device what to do at that location? How do I create that? Rewinding to the title of the thread, and reminding all present of the carefully chosen term "numpty", I don't get how it works, to be perfectly honest. Maybe I should, to quote Frankie, go on to RWGPS.com and RTFM, and then ask the nice people of this parish for clarification. I suppose I'm just expecting too much of the device, and don't want to sit in front of a map on the screen for that long creating the route. Time to HTFU, some would say. 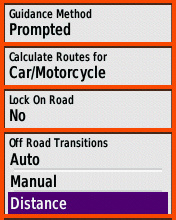 Maybe I should do that, save the route I just rode, copy to the device and see if it's better. That way I'd know what I'm dealing with. It doesn't help that it's in the nature of GPS, that it's quite difficult to bug-hunt problems that occur at some remote location, when your GPS insists on being 'here'. So it's difficult to check in advance, that a route is going to work. You don't find out that it doesn't, until you get there. As far as I know, the 800 is only really optimal when using a Course file. That means that a lot of the general advice here about Tracks and Routes doesn't really help much. Most of the online planners can generate a Course file however (TCX format), or convert to that from other formats. Though the 800 will internally convert a Track to a Course (not sure what it does with Routes) so that if you load a Track in the correct way, you'll find it turning up in your Courses menu anyway. Directions at junctions. Well according to RWGPS these are auto-generated from the map on the GPS. See ** above. Obviously your Course would need to be following the mapped roads closely, for this to have any chance of working. Some downloaded files are just recorded files which may wander around a bit, and not fit the roads perfectly, or they may have been generated using a different map from the one you have on board which again means the junctions might not precisely coincide and so not generate a prompt. Although files (Course, Track or Route) can and do often have embedded 'turn' instructions in the data, I think 90% of the time the GPS doesn't use this, but generates its own from the on-board map data, and generally only at a Waypoint (or Coursepoint or some Routepoints). If you can add Coursepoints (as you can in BikeHike for example) these should generate prompts regardless of the mapping. But that is of course a bit of extra work. There is a BikHike deep setting to auto-generate Coursepoints which might be what you need. I must say that in my fairly long experience with other Garmin models, auto-generated directions prompts have never really come up to my expectations, and I usually turn them off and use other (more planning required) methods. For example, I rarely see the simple "Turn Left at next" sort of message which is what I'd want. More likely, it would be "Turn NW onto Netherbottom Lane in 200m" which may look more informative on paper but in practice is not helpful. Maybe I just haven't found the right settings to make this stuff work properly. But, I get a bleep and then I look at the line on the screen, and really that works for me. Good point about TCX format - I'll try that next time out and see what difference it makes. Think I had seen a reference to GPX previously so had used that. Yes you definitely do want a tcx file if you want prompted directions. I find those very reliable personally - not 100% but 95% or more. If you get a cross roads and no prompt then straight on usually works. If it's wrong you'll quickly get the BBRRRRR! off course warning and then stop and turn around and look at the line on the screen. A bit of thread necromancy - where's the zombie emoticon when you need it? What threw me a bit was that the device beeped to alert of a change of direction, but either right at the junction, or after it. I am aware of the "distance to next X" display, so will use that, but wondered what it is that defines when the device beeps. Is it the device knowing where it is in relation to the saved route? Is it a detail in the route someone has created and they've inserted cues for the device to beep? Thanks folks. Next audax is Sunday, 110 Barbury Bash, so not a big deal as I know the route from times past. It's only as good as the maps that have been used to design the route. I've found the odd error in googlemaps in the past - claimed there was a road when in fact it was a farm track up to a cowshed I blamed the device at the time but when I got home I checked the googlemap and it was that that claimed it was a road, when it was not. There's probably a bit of inaccuracy in the GPS positioning also I suspect (not sure how much). I know what you mean, i get that occasionally too - particularly at junctions in the countryside that I guess have been less carefully checked. Late alerts seem to be a regrettable tendency with newer Garmin models. With the GPS settings at default, what is supposed to happen is, when approaching a point that generates an alert, the beep occurs at a set *time* before that point is reached (say around 5 seconds). So it's a 'time to next' thing. If you bring up a 'time to next' data field and watch it for a bit, you'll see how wildly inaccurate that display often is. I don't really undertand why, given that it is a simple matter of 'distance to next' and closing speed, and the 'distance to next' itself is usually pretty spot on. It always seems to me to work better at higher speeds, at walking pace (or cycling up a steep hill) the beep is often so late as to be right on the junction. At normal cycling speeds or in a car, on my old Etrex it works pretty well. My newer Etrex30 has the same tendency you describe - at cycling speeds the beep is often too late and occasionally so late as to be after the junction. Etrex 30 then you can enter a number, say 50 (metres). As to what generates the alerts in the first place, it will be routepoints that have either been programmed in advance (by the provider of the gpx) or have been generated by the GPS using the on-board map, if you are using it in some sort of autorouting mode. If they are pre-programmed points, then of course there is the possibility that they have been put in slightly the wrong place, or the 'wrong' place (since some people actually prefer to place routepoints after the turns). When I rode the Alan Furley 110k recently the device worked really well, with two small problems. At two junctions it didn't beep / indicate a route, even though when I got it wrong it told me quite firmly I was off course! Is there a way (to be very specific, a non-techy way) to tweak the details to insert a prompt to beep / guide at that location? I don't think this is a Garmin problem as such. But to do with Navteq who provide the routing information. Some junctions on lanes aren't coded correctly, so don't indicate a turn, because they are expecting the road to go straight on. I would say that on average you will come across a couple of these every 200km or so. As long as you have the off route alarm on, you won't lose much time.